Image Courtesy of Historical Collections & Services, Claude Moore Health Sciences Library, University of Virginia. After the fall of the Roman Empire, in the subsequent Middle Ages (5th to 15th century), close examination of a woman’s body was considered sinful or taboo. Midwives were in charge of helping women during childbirth and any vaginal discomfort or malady was treated with homemade herbal remedies. Men populated the era of 19th century physicians, and were discouraged from looking at a naked female patient. Medical examinations were done blindly; the doctor would find his way under a blanket or the woman’s dress while looking away. Also, there was popular belief that a woman might turn into what author Johanna Gohmann termed “raving sexual maniacs” if allowed to be intimately touched by a man.4 Although Cannella found a way to remove cancerous portions from the uterus, unfortunately he never had the opportunity to operate his device on a living patient. Anarcha presented with a combination of vesicovaginal and rectovaginal fistula, who endured 30 operations before successful closure. Lucy’s surgery lasted an hour while positioned on her hands and knees, and she nearly died from blood poisoning when Sims used a sponge to drain urine from the bladder. Despite the horrific pain these women endured, they were finally cured. By 1883, the year Sims died, he had established a worldwide reputation as a great surgeon and gynecologist. Statues of him and hospitals named after him can be found in New York and in South Carolina.7 There are also several uterine and vaginal surgical instruments that bear his name. Feminism and sexual revolution in late 20th century brought about change in the way gynecological issues were discussed, and treated. More female physicians are now opening clinics and writing books about women’s health, anatomy and the use of the speculum. When we look at today’s modern duck-billed speculum we can see its design and shape have not changed much, save for Thomas Graves’ adaptations in the late 19th century.8 Gynecologists now have several options available. For example, Sklar offers a Graves style ready-to-use disposable vaginal specula made of clear plastic material that allows 360⁰ visibility and reduces thermal shock. Sklar also features two lines of instrumentation with a great variety of vaginal specula for each. There is the electrosurgical line, Sklar Blue, manufactured with the highest quality stainless steel and a special coating that prevents transmission of RF current through the instrument. There is also the Sklar Black laser line, which has a specially designed polymer coating that reduces reflected laser energy to less than one tenth of one percent! With so many technological advances it is hard to tell where the evolution of the vaginal speculum will lead. The female anatomy has not changed in centuries, so if improvements in design have not varied much, the techniques used for diagnosis and surgery likely will. See Sklar’s full fine line of gynecological instruments, including vaginal specula by clicking the button below. 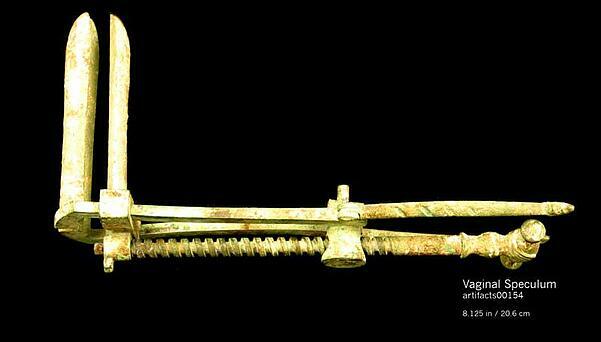 1 Surgical Instruments from Ancient Rome. (2007). 2, 4 Gohmann, Johanna. (2015, June). The Secret History of the Speculum. 3 The Medical Intelligencer. (1822, January). 5 Medarus, Alias. (2013, October). "Female Doctors and Midwives: Marie-Anne-Victoire Gillain Boivin." 7 Ojanuga, Durrenda. (1993). The Medical Ethics of the “Father of Gynecology” Dr. J. Marion Sims. 8 Eveleth, Rose. (2014, November). 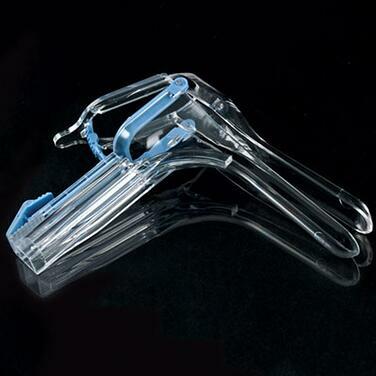 Why No One can Design a Better Speculum.